Oh Jojo. As soon as she sent home Luke, I was so devastated. But then, I was like, well she has Chase at least. But nope, she sent him packing too. First, let me say that I know it’s Jojo’s relationships. I’m going to be a little critical of her in this recap but I’m basing it all off the edit we as an audience are getting. I love Jojo, and there’s a reason she was chosen as The Bachelorette, and she’s doing a great job most of the time. Anyway, here’s my review on each guy. Jordan: Jojo has herself in a situation. Her date with Jordan really made me nervous. She has so many reservations about him, which isn’t good. And then she doesn’t really get the answers she wants so she continues to question him. I’m nervous about Jordan because he says these things that instantly make me not trust him. Maybe it’s the edit we’re getting but I don’t get good vibes from him. Robby: Although Robby says he’s in love with Jojo, I don’t think he is necessarily. I mean, he said he loved her on the first date, and yet, Jojo seems to most reassured by him. I don’t know. Maybe I’m just cynical, but the things he says makes me roll my eyes. When he says he doesn’t have to dream about her, he gets to dream next to her, I was cringing. It seems like Jordan is the one she wants, but Robby is like her safe choice. Chase: All season, I’ve been swooning over Chase, and my friends ask me why because he seems so boring. But after this episode, I’m 100% standing by my love for him. To me, he’s the only one saying things to Jojo that I believe. He has been so guarded so when he does let it down, it’s so hard to watch Jojo reject him. I mean, they had a great date, and they seemed like a real couple when they were being playful. When he does get upset with her, I wasn’t totally put off by him getting angry. It seemed valid because Jojo seemed unsure even when they were having dinner, but she went along with it. I mean, she’s not perfect so maybe she was giving it a shot. The whole thing was messy, but I loved what he said to her when he returned. “I’m proud of you. I’m impressed by you. I adore you and I think you’re amazing.” Everything he said was amazing to me. Again, I’m biased because I’ve liked him from the beginning. 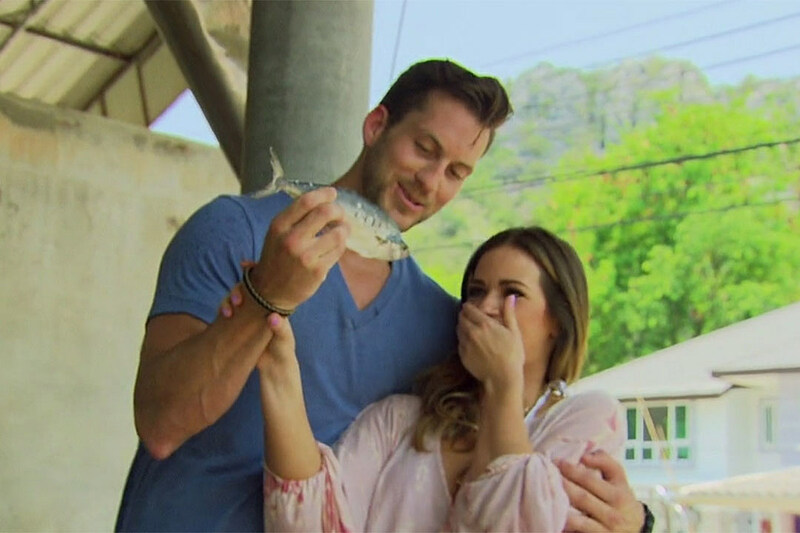 Luke: So I was kind of disappointed that Jojo said she just wasn’t sure where he stood. What the hell Jojo? There had to be some other reason she didn’t pick him because she literally blamed it all on Luke when he just told her he loved her. If it was something else, then she should of said so. Instead, he’s left feeling sorry when he never did anything wrong. Quick Sidenote: How amazing was Jojo’s style? I wanted every look from her. That rose ceremony dress was super pretty. Crazy episode all in all. I’m excited to see the Men Tell All, where I’ll give more of a recap.